This beautiful gift tin features an illustration of Pompeo Batoni's painting of General William Gordon (1737-1816). General Gordon stands in front of the Roman Coliseum wearing the uniform of the Queen's Own Royal Highlanders. Inside, the tin is filled with crunchy Scottish Highlander pure butter shortbread edged in demarara sugar. Highlanders Shortbread are made with creamery butter, finest flour, sugar and salt and then hand-rolled in crunchy demerara sugar around the rim for the great taste of a shortbread cookie encircled by a dusting of a wonderful light sugar edge. The International Taste and Quality Institute awarded a Superior Taste Award to the Shortbread Highlanders at the esteemed it Qi ceremony in June 2015 classifying them as 'Exceptional Taste'. 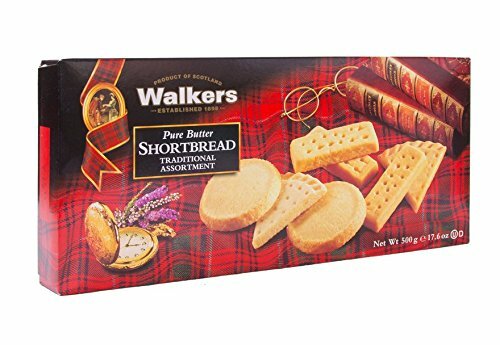 Walkers cannot be beat for shortbread with a very buttery taste with just the right texture. Big crunchy cookies, great texture with a perfectly buttery taste, they are just right with any flavor hot tea, or on their own. Take a bite, let it rest on your tongue & experience this rich buttery cookie in all its decadence! On the hearty side, these are the authentic old-fashioned Highlanders, popular since the days of Queen Victoria. 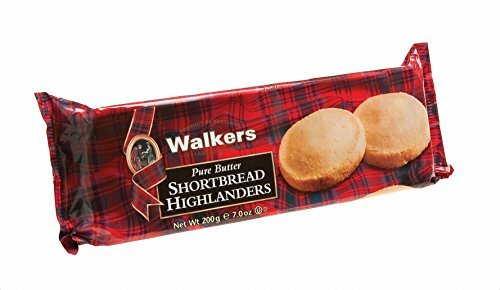 Unique to Walkers, and with the edges handrolled in demerara sugar, Shortbread Highlanders give you a crunchy, full butter treat. It was over a hundred years ago that the Walker family started baking shortbread in the Speyside village of Aberlour, surrounded by the picturesque landscape of the Scottish highlands, and it is where Walkers remain to this day. Joseph Walker founded the company when he opened his village bakery in 1898; now it is his grandchildren and great grandchildren that continue the tradition of fine baking that he started. In fact, the founder’s personal guarantee is still marked on every pack to confirm that Walkers products are made with only the best ingredients obtainable. Though the Walker family have added many new products to their range during the last century, each and every one holds to those original values of quality and natural goodness. Gluten Free Pure Butter Shortbread is baked in the secluded village of Aberlour, Speyside in the hear of the Scottish Highlands. 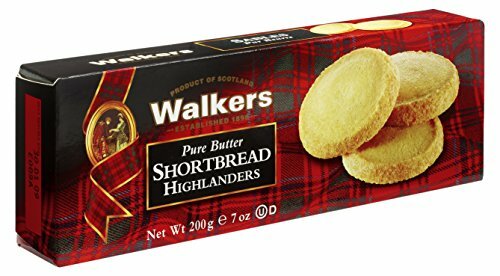 Based on a traditional recipe Walkers has created this shortbread to make sure everyone can enjoy the taste of Scottish Pure Butter Shortbread. This gluten free shortbread is baked with the finest ingredients possible to obtain and contains no artificial colours, flavourings or preservatives. 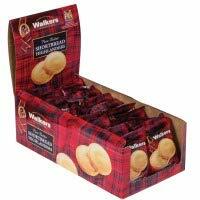 Walkers Homebake Highlander Shortbread, 4.7 Ounce -- 12 per case. Unique to Walkers these chunky rounds of pure butter shortbread hand rolled in crunchy Demerara sugar may be made to a century old recipe ... they never go out of style. You'll love all the offerings in this cookie gift box assortment. Thick Highlander shortbread cookies are hand rolled in crunchy demerara sugar for a sweet, hearty crunchy cookie. There are Petticoat Tails shortbread, crisp and delicate, dusted with sugar to enjoy with your coffee or tea. And the Shortbread Fingers, every bit as good as home-made, and delicious to enjoy on their own or with your favorite ice cream. 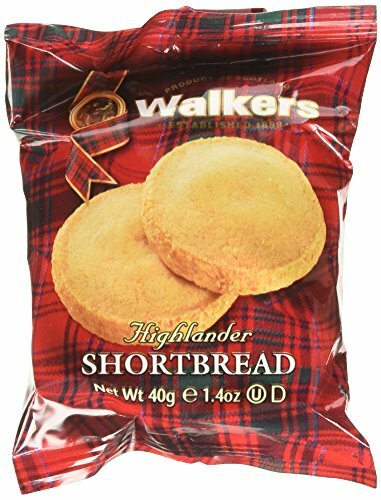 Of course, as with all Walkers Shortbread cookies, there's not a artificial flavoring, additive or coloring to be found and are made with only the finest ingredients. Creamery butter, finest flour, sugar and salt, along with four generations of Scottish baking expertise. Well presented in a beautiful package, it's the perfect gift box. The shortbread is suitable for vegetarians and certified Kosher (OUD). These thick, crunchy cookies promise a rich burst of satisfying flavor with a buttery finish in every bite. Convenient snack-size pouch means you can eat a couple without opening a whole box. Cookies are perfect for lunches, day outings, travel, party favors and more. Looking for more Highlander Shortbread similar ideas? Try to explore these searches: Lateral File Chest, Usa Car Logo Emblem, and Sliding Door Lock. Look at latest related video about Highlander Shortbread. Shopwizion.com is the smartest way for online shopping: compare prices of leading online shops for best deals around the web. 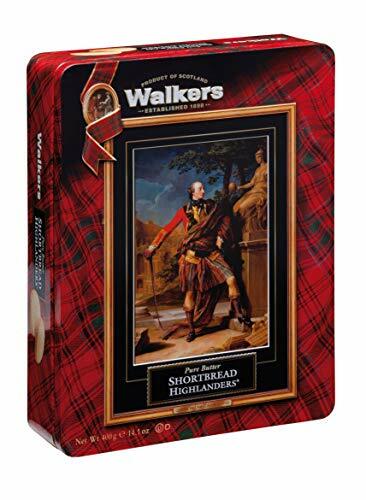 Don't miss TOP Highlander Shortbread deals, updated daily.